Fellowship meetings take place every Tuesday evening from October to April at 7:30pm at church. A meeting may consist of a bible study or an inspirational session from a visiting preacher. House groups also form part of the fellowship programme on evenings when there is not a meeting at church. Small groups are exactly that, a smallish (4 - 10) group of people from church, or those who want to know more about Christianity, who meet in church members' homes on the 2nd and 4th Tuesday of each month for a brew & a biscuit, and to pray, discuss the bible and develop great friendships. Ladies fellowship meetings take place on the third Tuesday of the month at 2pm in church. Speakers talk on a wide range of topics, including trips abroad and missionary work, and there are also cooking and flower arranging demonstrations. These meetings always include some short 'word' where the speaker shares their Christian faith with those present. 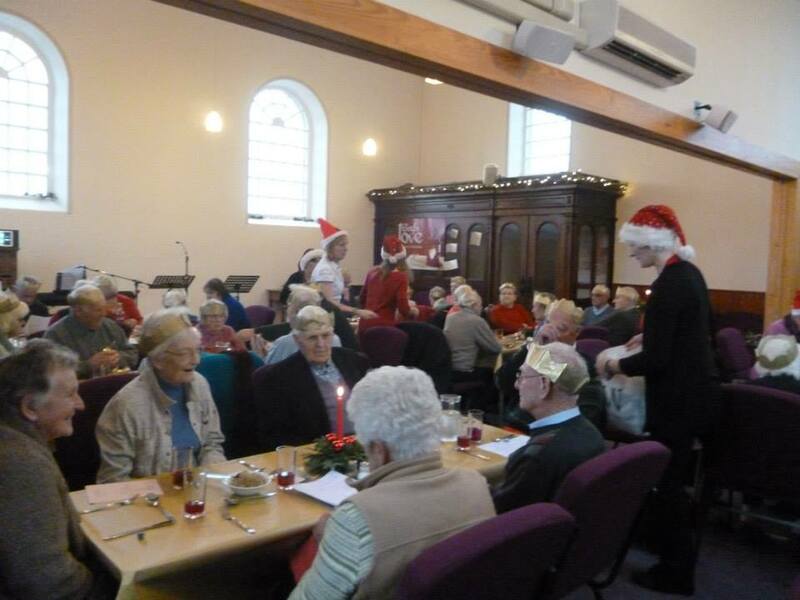 We have been running a 'meet & eat' community lunch since autumn 2013 and numbers have now grown to approximately 50 people from Chipping and the surrounding area coming for a delicious two-course lunch and short entertainment. Lunches are held on the third Friday of every month at 12:30pm. Those who are unable to travel on their own to the lunch are welcome to contact us (visit our 'contact us' page) and we can arrange transport. We have two netball teams and a football team who play regularly in the Christian SportsReach leagues. Our netball teams comprise the more sporty members of our congregation, as well as those who haven't played since school! We are proud that the netball teams came first and second in Division One in the 2014/15 league. The football team is a recent addition to our extra-church activities and we hope that it will grow in strength as it competes and helps to share the Good News about Jesus while playing. Our congregation is very sociable! We hold many social events throughout the year, from barbeques and games nights, to hoedowns, family parties, summer trips out, men's and ladies' evenings and more. Check out our Calendar for more detail on what's coming up. We have a large tent every year at the Chipping Show, where we provide free refreshments and a place to relax during the hustle and bustle of the busy agricultural show. Our church members serve at the tent and are always happy to sit down and chat with you if you have questions about the church and what we believe, or just to talk about the weather!